The world is desperate for love, but sadly misunderstands the meaning of the word. To find the true meaning of love, we must go to the Word of God—for God is love. The Scripture tells us that God loves us. Even when we were His enemies, He continued to love us (Rom. 5:8), demonstrating His love for us through the supreme sacrifice of His only Son. Jesus came to help us “see” the love of God. One definition of love is “totally giving of yourself to meet the needs of others without expecting anything in return.” An illustration from the life of Jesus can be found in John 13—the story of Jesus washing the feet of His disciples—a beautiful picture of his selfless, humble service to meet another’s need. We are instructed from the Word of God to pursue love (1 Cor. 14:1), put on love (Col. 3:14), increase and abound in love (1 Thess. 3:12; Phil.1:9), and be fervent in love (1 Pet. 4:8), but how can we demonstrate God’s love in practical ways to our needy world? The following is a list of fifteen characteristics from 1 Corinthians 13. Look closely at each characteristic and you may discover specific areas of need in your life. As you read, study, and meditate on this beloved chapter of God’s Word, take some time to reflect on each property of love and answer the questions that follow. Do you respond as Christ would when people mistreat you? Are you patient when people inconvenience you or bother you? Are you long-suffering when others take advantage of you? Or quick to express irritation or anger. Is there anyone that you are trying to pay back for what they have done to you? Are you genuinely concerned for the welfare of those who have wronged you? Do you wait patiently to see the effects of your love in their lives? Are you a kind, considerate, and respectful person? Are you quick to render yourself useful to others? Do you search for opportunities to be helpful? Are you especially eager to share in practical ways with the less fortunate? Are you kind in your home? With your closest associates at work? Are you kind with your tongue, using well-chosen words to encourage others? Do you rejoice with those who rejoice? Are you genuinely glad when someone else is promoted, gets a raise, or is recognized—and you are overlooked? Do you view others as rivals? When your mate gets attention, praise or honor that you know is not deserved? When your friend’s child excels at sports, music or academics—and your friend loves to tell you about it? When a brother’s or sister’s family is financially prosperous while your family is struggling to make ends meet? Are you content with the basic necessities of life and a right relationship with God? Or, do you have an unhealthy possessiveness of things? Do you boast about your abilities, gifts, accomplishments, or possessions? Are you self-promoting, trying to draw attention to yourself with your words? Do you flatter others with a secret hope of advancement? Do you enjoy telling about your achievements more than listening to the accomplishments of others? Are you content to do good works without recognition or praise? Do you accept credit for things God has done? Do you have an accurate assessment of your strengths and weaknesses? Do you harbor a spirit of pride—an inflated view of yourself? Do you feel your spiritual gift is superior to other’s gifts? Do you communicate an attitude of spiritual superiority toward your husband? Your family? Your work associates? Are you courteous to others, especially in your home? Are you tactful—sensitive to the feelings of others and choosing words carefully—do you don’t needlessly offend? Are you agreeable when you must disagree with someone? Do you use sarcasm or put-downs that show disrespect? Do you consciously look out for the welfare of others above your own? Are you self-protective of your time? Assertive of your rights? Is your reputation a prime concern? 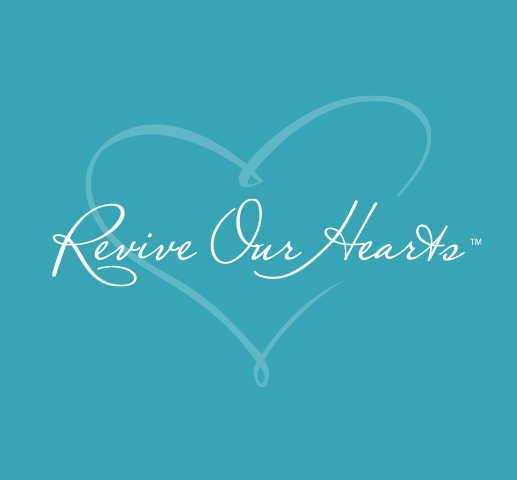 Do you search your heart’s motives before acting? Do you pray for other’s needs more than your own? Do you have the kind of love that overlooks offenses? Or, do you get exasperated and irritated when you don’t get your way? Do you fly off the handle or blow up when “crossed”? Are you easily upset by unpleasant circumstances that are beyond your ability to control or change? Do you cast blame, when in reality you are simply being touchy or thin-skinned? Do you remember others’ wrongs or failures with pleasure? Do you keep track of their offenses or hold a grudge? Are you quick to forgive those who wrong you, clearing the record of their offense? Do you focus on people’s quirks and foibles instead of their strengths? When wrong thoughts about people come to mind, do you silently pray for them? Or, do you criticize them to others? Do you love righteousness? Do you hate evil? Do you laugh when sin—wrong words, attitudes, or behavior are presented in a humorous light? Are you grieved when you or another believer sins? Do you sympathize with others in their wrong doing or wrong thinking about God and His ways—making excuses for their sin? Do you thrive on gossip? Are you secretly happy when another person falls into sin? Do you welcome others sharing truth with you about your life and needs? Are you discerning about doctrinal truth and error? Do you compromise the truth? Are you willing to lovingly speak the truth in private to those who have wandered far from it, even if that means risking rejection? Do you rejoice when truth triumphs? When people turn to God and change? Do you encourage others when they choose to do right? Do you have the kind of love that covers a multitude of offenses? Do you seek to cover and protect others from attacks or harm? Are you willing to endure hardships for others’ sake without complaining? Are you willing to waive your personal rights—even legitimate ones—in order to advance the cause of Christ or guard His reputation? Have you learned to patiently trust God through the darkest circumstances of life? Do you assume positively of people, giving them the benefit of the doubt? Are you quick to jump to conclusions? Do you assume people’s motives or actions are wrong before getting all the facts? Do you generally regard people with suspicion? Have you learned to examine situations carefully from a biblical perspective? Have you given up on God’s ability to change certain people? Do you simply expect negative behavior from certain people? Do you try to see people through God’s eyes so that you can reach out to meet their needs? Do you have a vision of what a person can be when walking with the Lord? Do you seek the big picture (God’s perspective)? Or, are you frustrated when events do not work out as you had planned? Does your love remain strong through testing, even when faced with humanly insurmountable obstacles? Is your love dependent on others’ responses? Do you keep loving, even when your efforts are rejected or seem unsuccessful? When you feel you cannot love, do you choose to act in loving ways—asking God to express His love through you—until your feelings catch up? Agree with God about your inability or unwillingness to express His love. Ask God to fill you with His love and His Spirit. Make a conscious choice to love every person, in every situation. Let the love of Christ be the measure of your love.